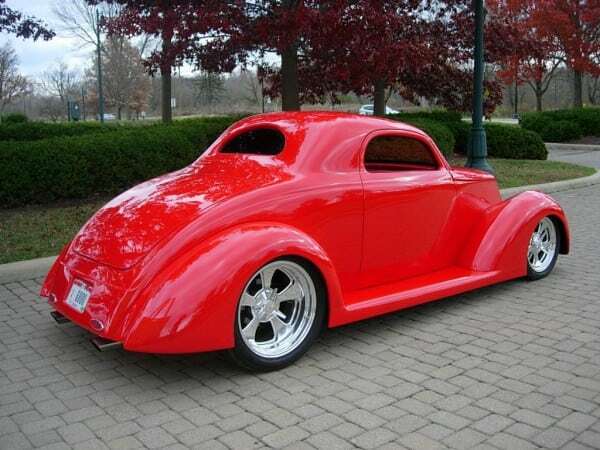 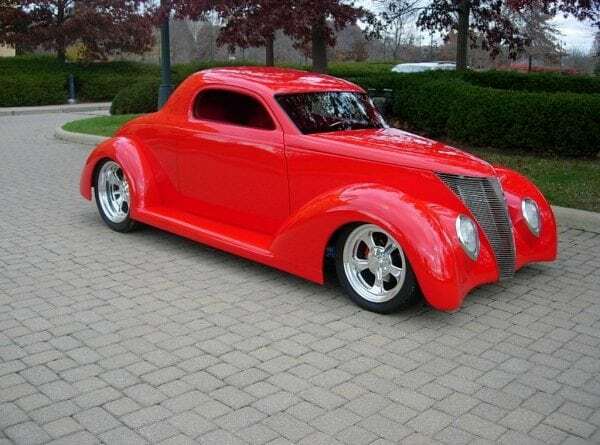 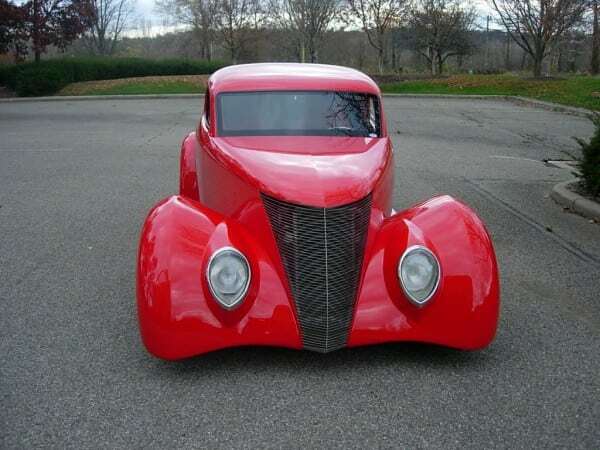 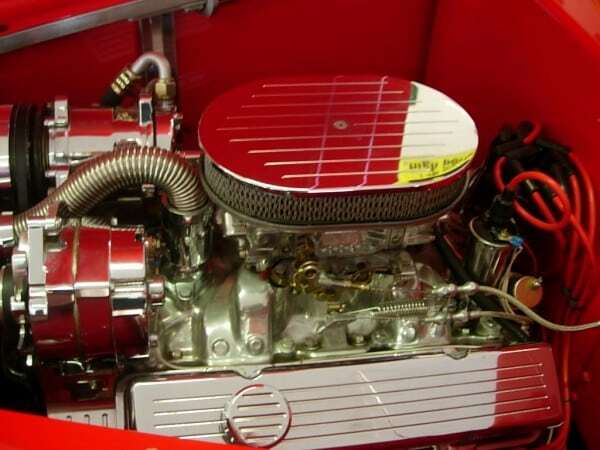 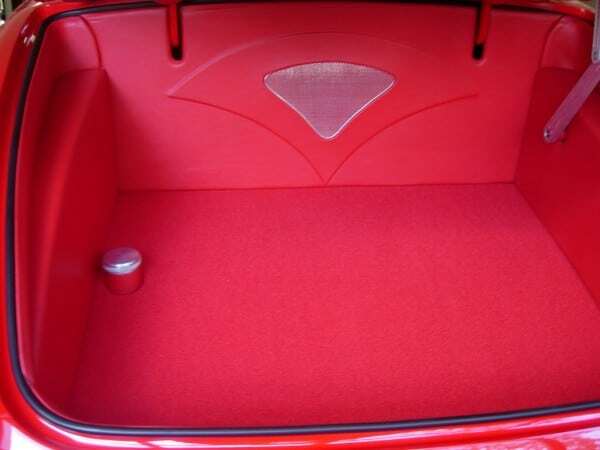 37 Wild Rod body and chassis, outstanding fit and finish with Dupont Hot Red adjusted to be a one of a kind Red. 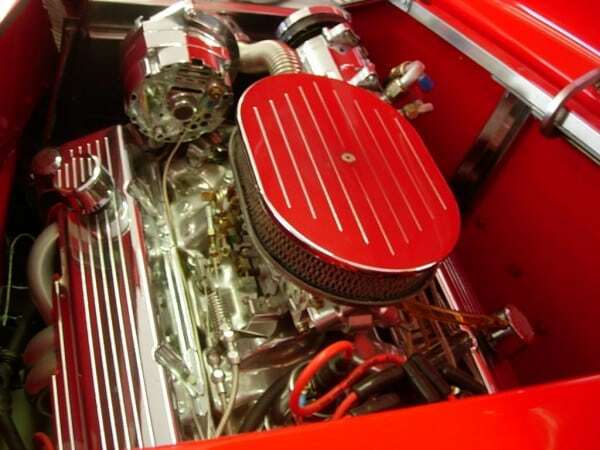 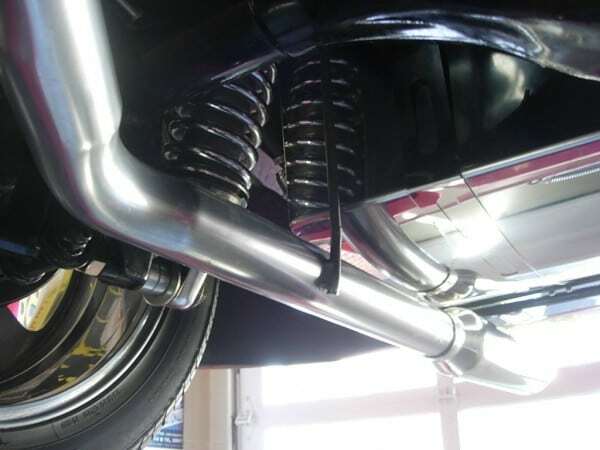 Polished Stainless grill and polished cover, Performance rod and custom radiator with shroud and cooling fan. 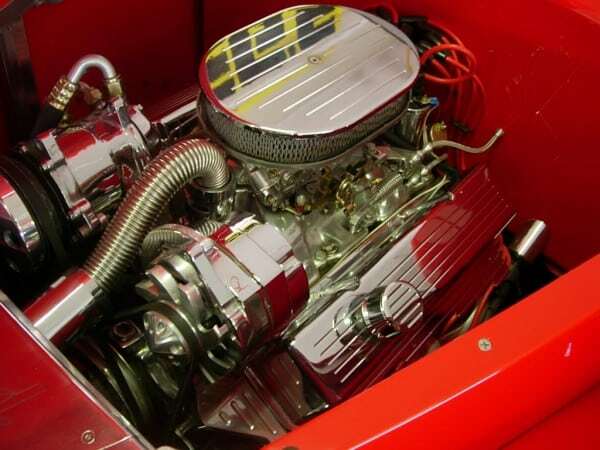 350 Chevy engine with 355 Holley Street Avenger carb, mild cam, aprox 350 hp (Morris Machine), 350 transmission, Lokar linkage, pedals, dipstick and Billet Specialties pulleys. 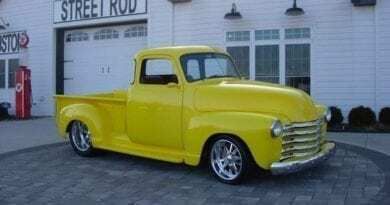 Suspension Alden chrome coilovers on all four corners, 4 link with 9″ Ford and Mouser axles, dual stainless exhaust, polished stainless fuel tank. 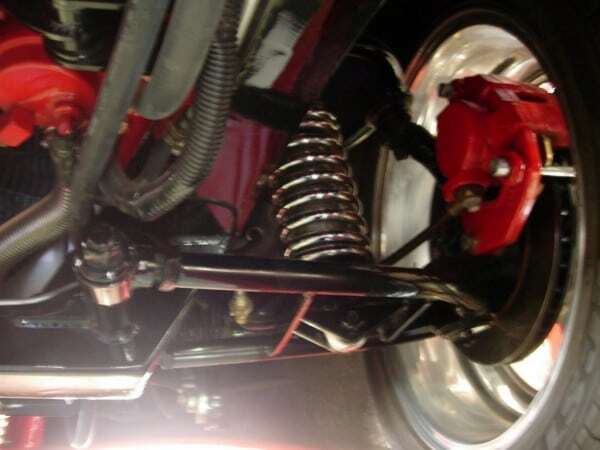 Disc brakes and Ford racing rear brakes with e-brake. 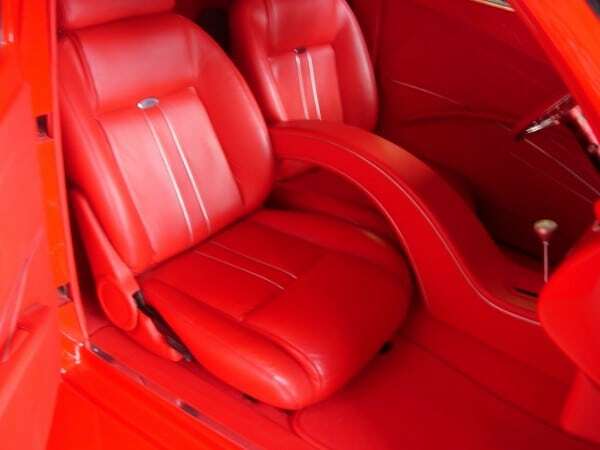 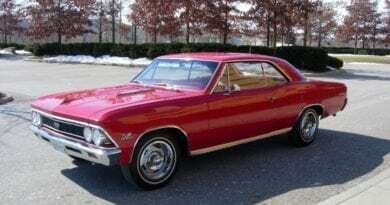 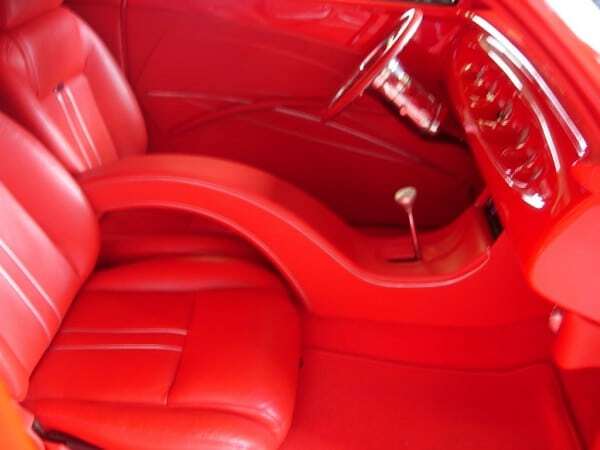 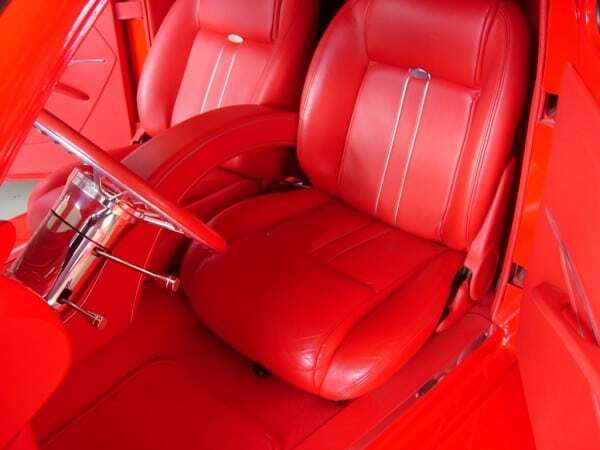 Interior features Ididit column, power steering, power windows, power brakes, Vintec Red leather wrapped steering wheel, Steve Holcomb Pro Auto Red leather interior and Leather finished trunk. 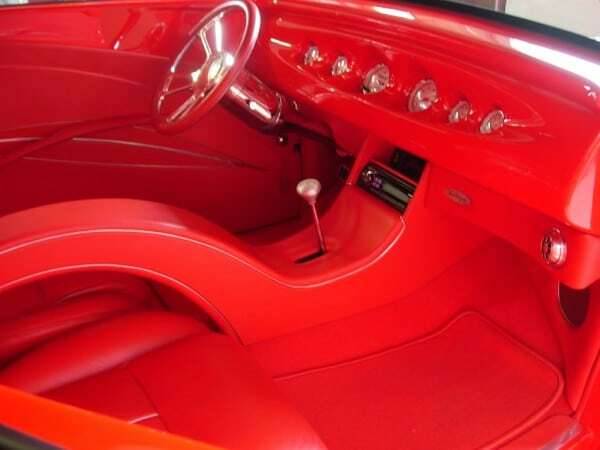 Alpine cd Alpine amps, 2 Remote keyless entry, shaved door handles, smoothie mirrors. 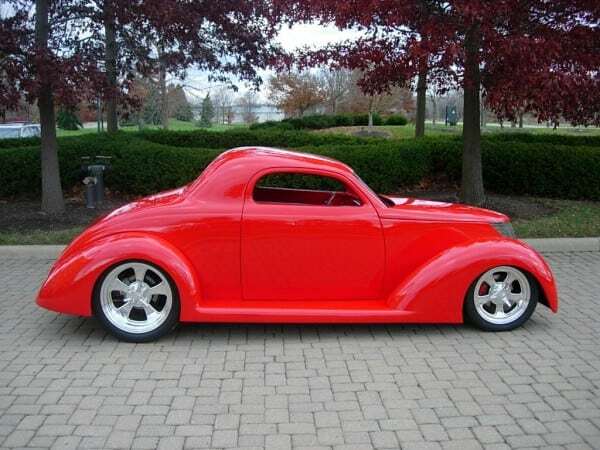 Billet specialties Vintec wheels 17 front 20 rear Kumho tires. 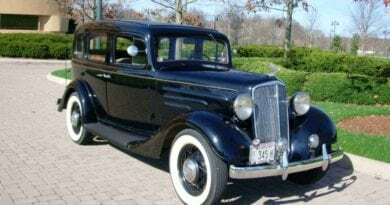 ← 1932 Steel Ford Dearborn Duece Roadster…..SOLD!